Lana Del Rey performed at the BUKU Arts + Music Fesival wearing a Multi Zip Windbreaker with White LF Tape by LF The Brand ($74.40 – wrong color), Dolls Kill Showin’ Out Sequin Dress ($34.80) and Jeffrey Campbell CRY4U Boots ($159.00). Kelli Berglund attended the Just Jared’s 7th Annual Halloween Party last night wearing a Bad Newz Nurse Costume from Dolls Kill (Sold Out), Forever 21 Thigh-high Fishnet Tights ($8.00 – wrong color) and Steve Madden Rhian Platform Boots ($16.81 – wrong color). 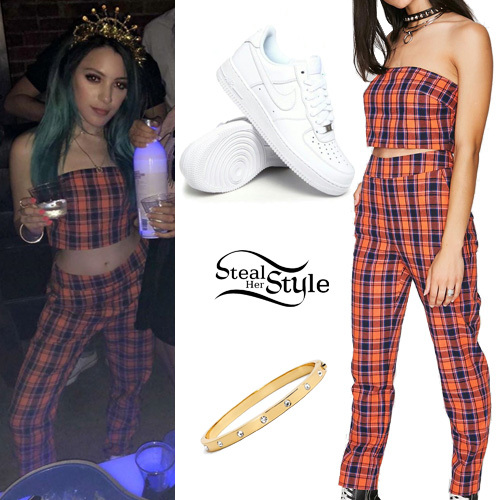 Niki DeMartino celebrated her 23rd birthday wearing a Dolls Kill Plaid Pant Set ($48.00), a Kate Spade Crystal Hinge Bangle ($48.00) and Nike Air Force 1 Low Sneakers ($90.00). 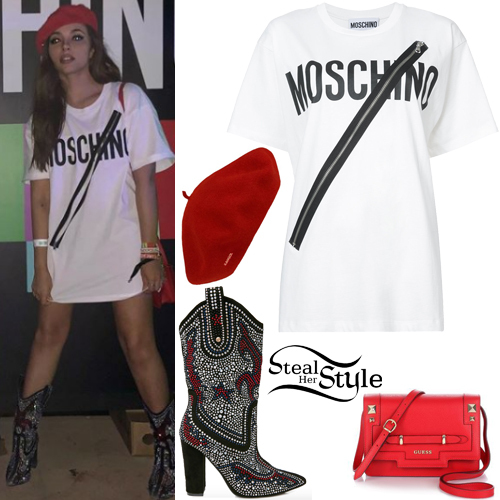 Jade Thirlwall attended a Moschino event during Coachella Weekend 1 wearing a Moschino Zip Logo T-Shirt ($275.00), a Kangol Modelaine Beret ($50.00), her Guess Natalia Palmellato Crossbody Flap Bag (Sold Out) and Dolls Kill Sharpshootin’ Sweetie Studded Cowboy Boots (Sold Out). Vanessa Hudgens was spotted leaving a coffee shop in Los Angeles wearing a Current Mood Not Today Plaid Dress ($46.40), a 13CCHLR Chain Ring Choker ($20.00), her Vera Wang Round Frame Sunglasses ($405.00), a black tote bag with a Jocelyn Fox & Rex Rabbit Monster Keychain ($89.00), Dolls Kill Demon Days Fishnet Tights ($6.40) and Dr. Martens 1460 Boots ($134.95).